This morning I decided that rather than start something new I should finish something I have already started. 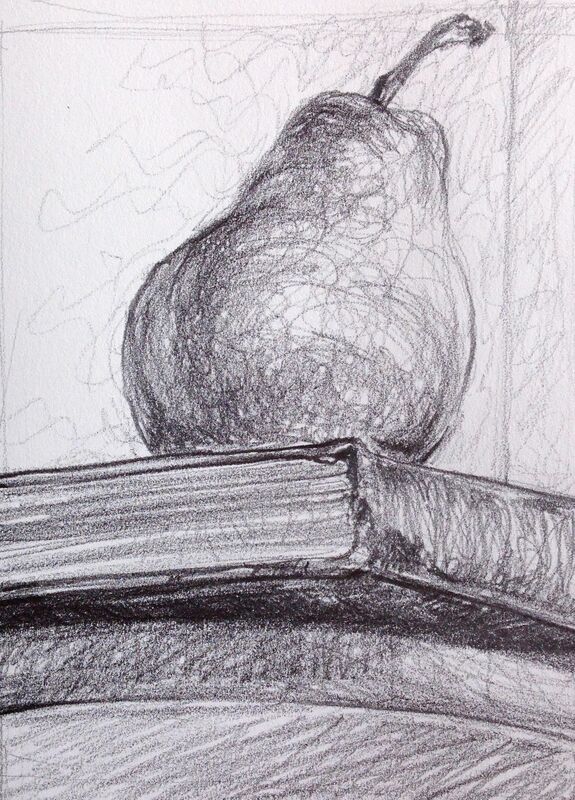 So, back to the mussel drawing. This piece was really the inspiration for the encaustic I did yesterday, and now that has inspired me to return to the original piece. I am really happy with the strength of the colors and the composition. I like the way the water soluble crayon handles–which is interesting because when I first tried these I really struggled. I am making a kind of light colored wash to do the outline of the composition/drawing and then laying down washes over top. I have discovered that this medium mixes perfectly right on the paper you are using–so you need to have the same type of paper available for mixing. No graphite for this, just colored pencil over top for the details. I think this is working out alright. 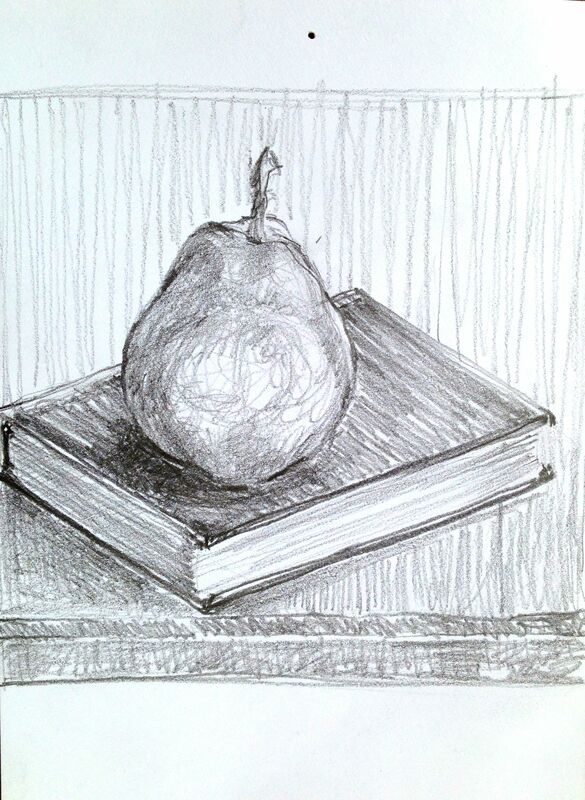 I am taking the free art class at the Derwent Art Academy website. It is super fun and the way it is set up keeps you looking forward to the next lesson and project. 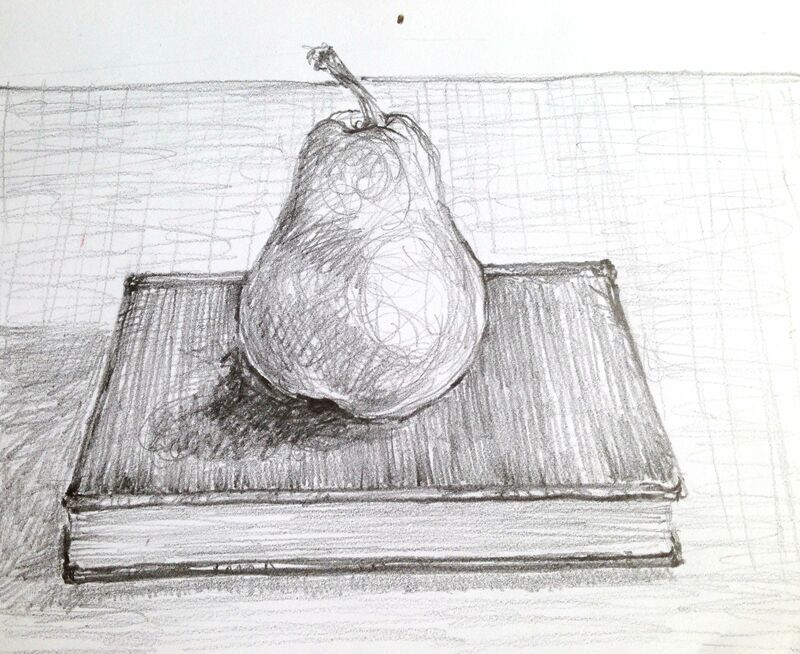 Here are my sketches from the perspective lesson. 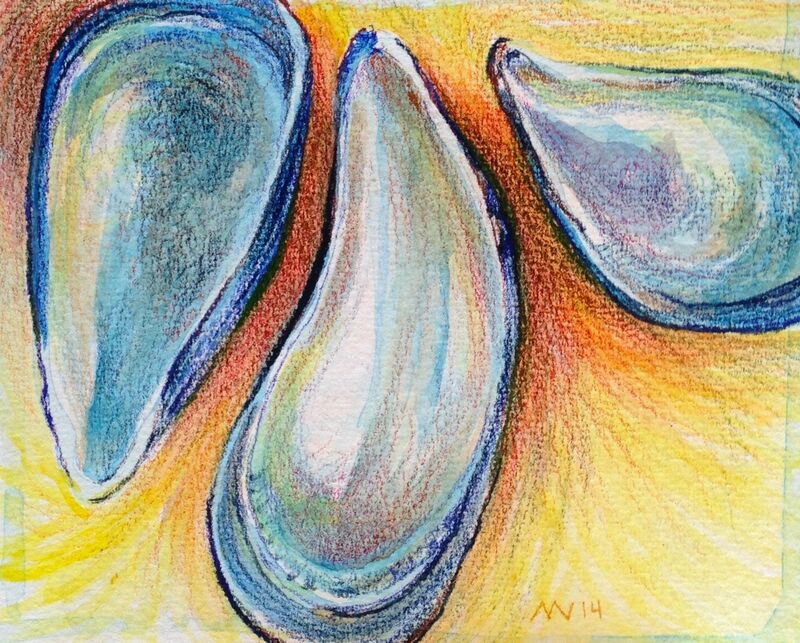 This entry was posted in Uncategorized and tagged colored pencil, maine, mussel shells, perspective study, small painting, water soluble crayon. Bookmark the permalink.